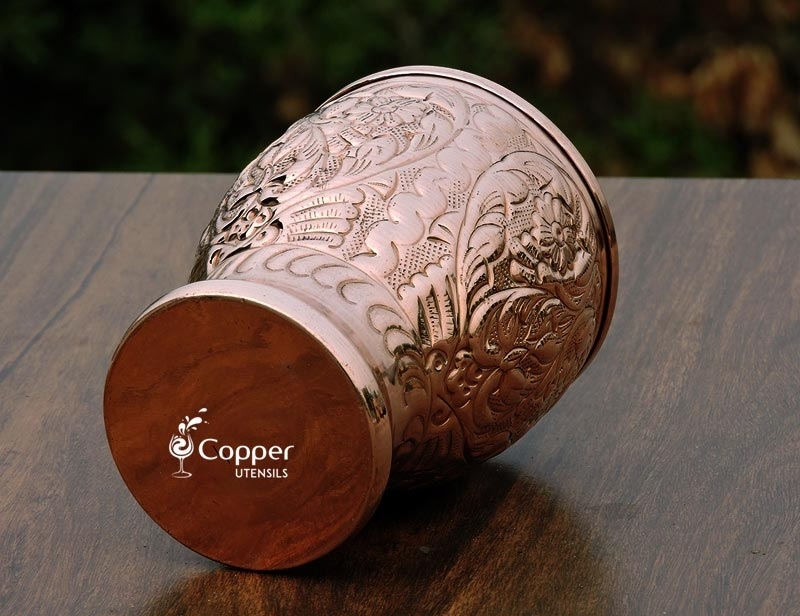 Hand-crafted by skilled Indian artisans. Intricate hand embossed floral pattern for added appeal. 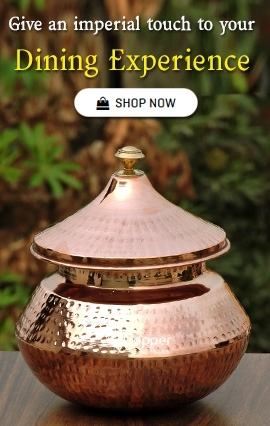 Suitable for serving water and all types of cold beverages. Crafted to grab instant attention, this piece of art is not just an eye candy. 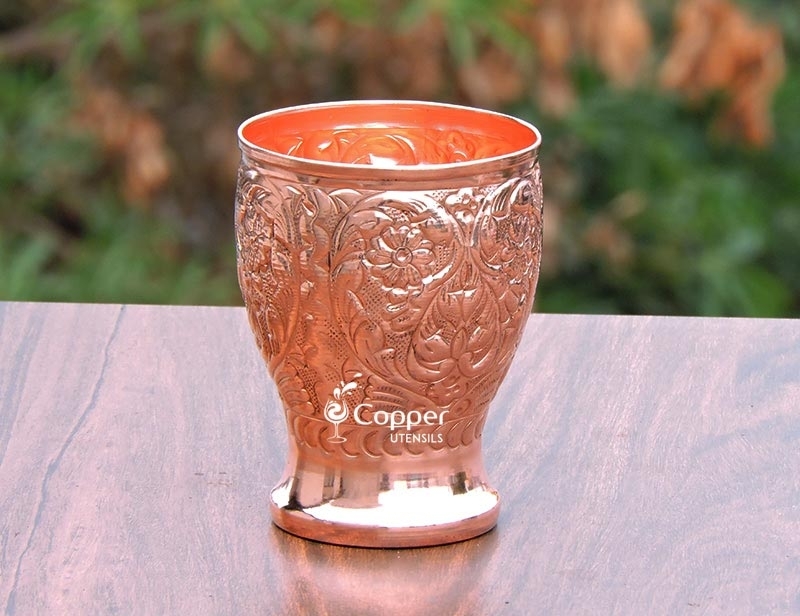 Our pure copper floral embossed tumbler is not only a delicate piece of artistry but is also a wonderful option to include copper treated water in your life. 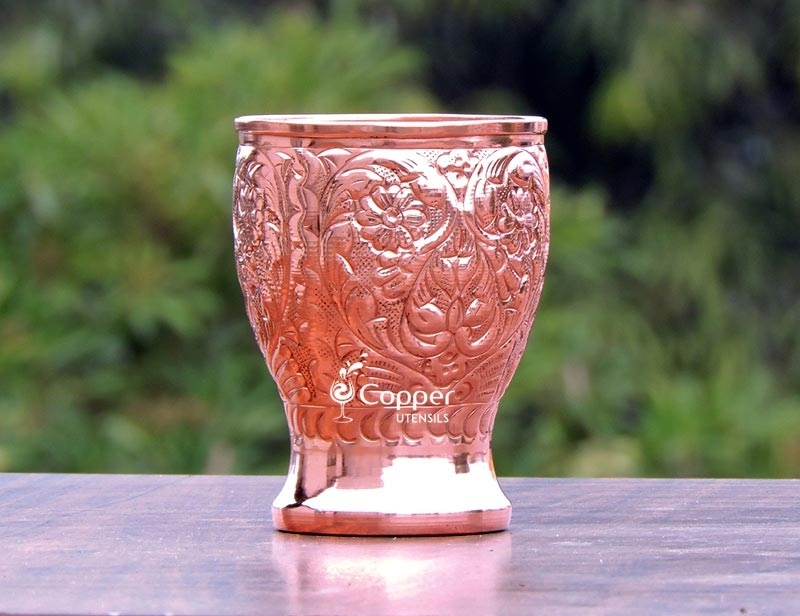 The tumbler is entirely crafted from pure copper and is perfect for starting your journey towards drinking copper charged water. 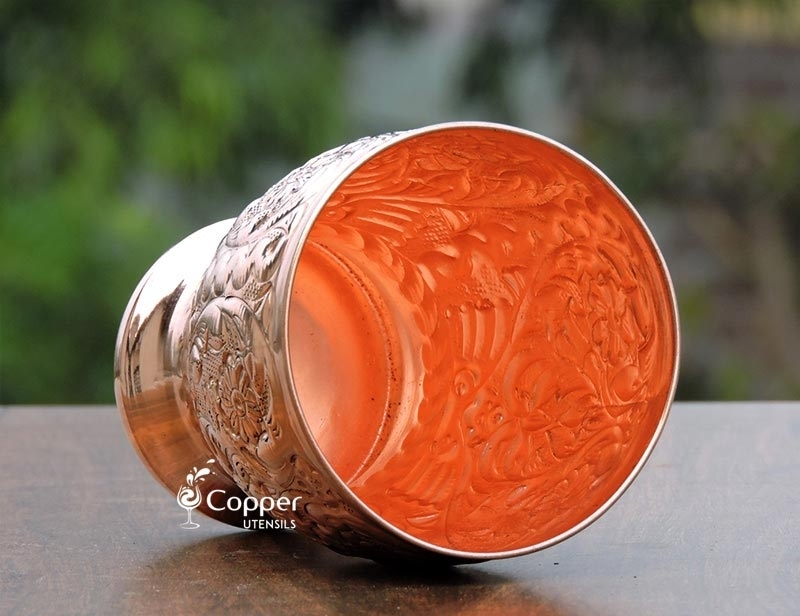 The delicate floral pattern on the tumbler is hand embossed by skilled Indian artisans. 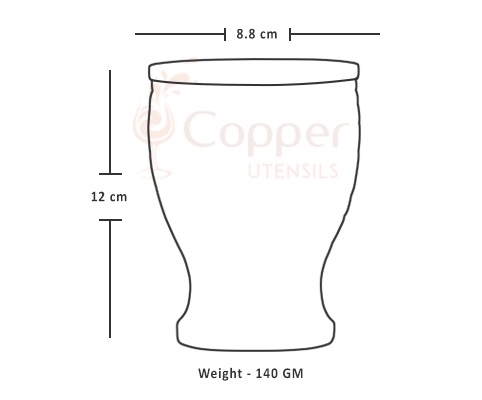 The tumbler is suitable for serving water or other cold beverages. To maintain the sanctity of the product you need to clean the product after every use. Just follow the instruction leaflet provided with the product to clean the product and maintain its shine. 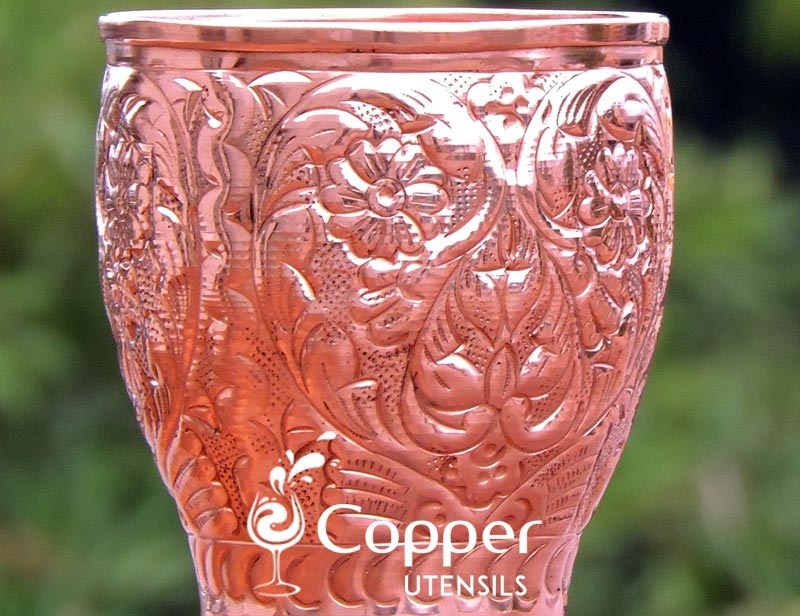 A lot of my friends are using copper utensils and I wanted to try it for myself. So I got this tumbler to try out. 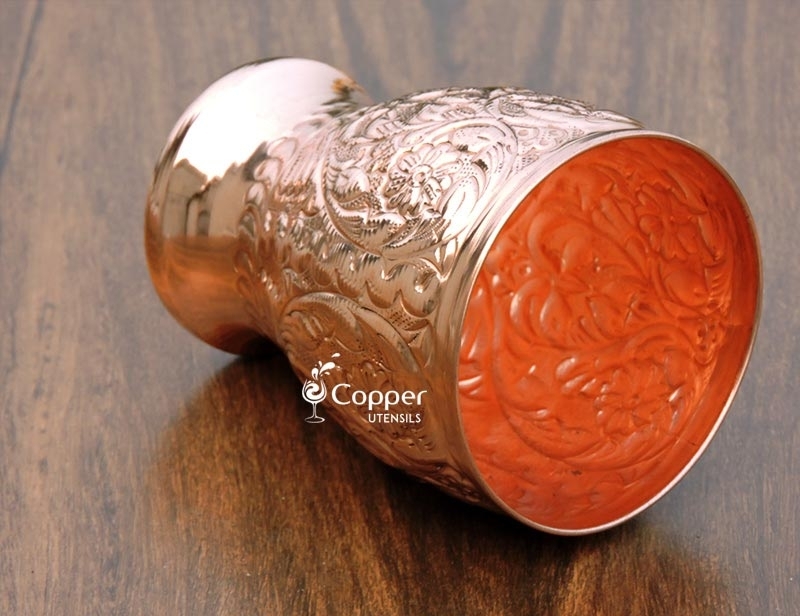 I love the design and its embossed surface. Very unique and nice quality.